In 1998, congress passed the Workforce Innovation Opportunity Act (WIOA) to reform federal job training programs and create a new, comprehensive workforce investment system. The reformed system is intended to be customer-focused, to help Americans access the tools they need to manage their careers through information and high quality services, and to help U.S. companies find skilled workers. In Ohio, WIOA local control and decision-making is maximized through effective state and local partnerships that foster continuous improvement of the workforce development system. 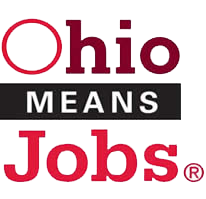 WIOA services are provided through the OhioMeansJobs® Meigs County Resource Room. WIOA provides the framework for a workforce development system that is designed to meet the needs of employers, job seekers and current workers who want to advance their careers. The goal of WIOA is to increase participant employment, job retention, earnings, and occupational skill attainment. Adults – Eligible to work in the United States, over the age of 18, and, if applicable registered for Selective Service. Dislocated Workers – Individuals who have lost their job through no fault of their own. Employer Services- Assists businesses to find good employees, fund training on and off the job to improve the quality of their workforce, and administer tax credits that are available to businesses when they hire certain workers.